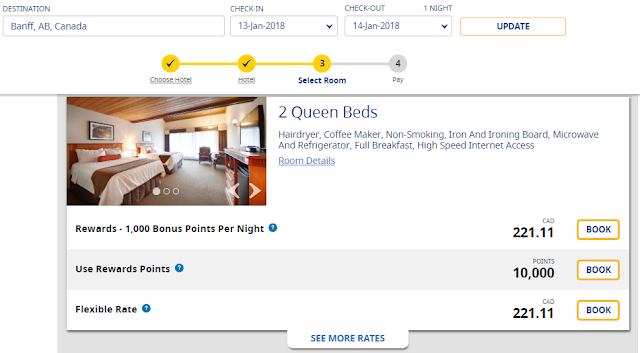 I tested with a Best Western hotel at Banff in Jan. You can see the price per night is over $200, but you can get one night with 10000 points (it is usually 20,000 points per night for this hotel). Pretty good deals. If you don't have enough points in your account, you can purchase up to 5,000 points as a one time courtesy during the promotional offer to use towards one free night reservation during the promotion period.